Join organist Stephen Distad and trumpeter Justin Langham as they combine two of the most historical and cherished combinations of musical sounds. Formed in 2014, Deux Voix (French for "two voices") has amassed a significant amount of success and a rapidly growing reputation across the United States. In addition to the numerous performances in their home in Houston, Texas, they have presented concerts in locations such as St. Patrick’s Cathedral in NYC, The Basilica of Saints Peter and Paul in Maine, the Mayo Clinic Medical Center in Rochester, Minnesota just to name a few. This concert is co-sponsored by the Central Arizona Chapter of the American Guild of Organists. The music of Frankie Valli and The Four Seasons comes to life in this toe-tapping concert. December '63 showcases all the favorite songs from Frankie Valli, including the classics that have been thrilling audiences for decades as well as the most popular singles from the Broadway musical, The Jersey Boys. This rocking tribute concert will have you reaching for the high notes right along with the musicians. Come out and enjoy a night of timeless classics! One of Arizona’s top choral groups, the NAU Shrine of the Ages Choir returns to Pinnacle, bringing musical excellence to a dynamic and engaging performance of choral favorites and new works. The Shrine of Ages Choir has toured nationally and internationally at such historic venues as Carnegie Hall, the Vatican, and the Sydney Opera House. The Shrine of the Ages Choir consists of undergraduate and graduate students of various majors who have dedicated themselves to work toward a common goal of growth through the study and performance of outstanding choral repertoire. Four Broadway performers join together to sing some of the best music of Broadway, while sharing their personal stories from their individual journeys -- in this intimate, funny & entertaining evening of music, laughter & dreams! This extraordinary group of artists met while performing in “PHANTOM: The Las Vegas Spectacular” and together formed their own highly-acclaimed spectacle that continues to thrill audiences everywhere. THE PHAT PACK! brings you Music, Laughter & Dreams. These Broadway performers (formerly with PHANTOM in Las Vegas) sing the great music of Broadway, American Standards, as well as fun, exciting original comedy material -- AND share stories from their personal lives and careers! THE PHAT PACK tips its hat to an era of elegance and entertainment in their own tribute to the Entertainment Capital of the World, Las Vegas!and Nessun Dorma. These three musicians come from extremely diverse backgrounds to sing music from opera, musical theatre and pop opera in a most entertaining way. Internationally renowned composer of Arizona Opera’s Riders of the Purple Sage and musicals such as Gunmetal Blues, Craig Bohmler brings us the finest of his Broadway-style and operatic songs. Joined by four friends, Joshua Dennis, tenor, Trisha Ditsworth, singer/actor/dancer, Rusty Ferracane, singer/actor, and Laura Wilde, soprano, Craig’s music will move, enchant and inspire in this evening of review of one of Arizona’s own and beloved music makers. Craig’s works have been widely performed in the United States, Canada, Europe, and Japan and two of his musicals (Enter the Guardsmen and Gunmetal Blues) have been introduced on London’s West End and Off-Broadway. His most recent opera, Riders of the Purple Sage, based on Zane Grey’s best-selling 1912 novel, is the first “operatic western” premiered by Arizona Opera, for whom Craig is currently the Composer in Residence. The whole family is invited to the Pinnacle Sanctuary (following Trunk-or-Treat) to experience Phantom of the Organ. Featuring world renowned organist, Guy Whatley and Kristen Hertzenberg, who portrayed Christine in the Las Vegas production of Phantom of the Opera, will be joined by Pinnacle soloists to present a truly unique experience. Enter the closed opera house and experience it come alive with organ music, audience participation, and sightings of the Phantom! This is an event you will not want to miss! Come if you dare! Internationally acclaimed performer, composer, pedagogue, and author of Bach and the Art of Improvisation, Dr. Pamela Ruiter-Feenstra will debut her new CD, Ruiter-Feenstra on the Richards & Fowkes, recorded in 2017 on the Pinnacle Presbyterian organ. Lauded for "unfailing authority, stylistic savvy and a good deal of élan" (Fanfare Magazine), Ruiter-Feenstra describes Pinnacle's organ as "one of the best in the world--it makes my soul sing." Ruiter-Feenstra's compositions range from Renaissance to jazz styles, and feature creative variations on beloved Psalms, hymns, and chorales that highlight the kaleidoscopic colors, communicative transparency, and human breathing quality of the fabulous Richards & Fowkes organ. The 140+ member Phoenix Symphony Chorus led by Concert Master Dr. Thomas Bookhout is "... one of the gems of Phoenix's cultural scene. It is a great chorus.” [The Arizona Republic] “The Phoenix Symphony Chorus was outstanding – robust and riveting.” [Broadway World] This will be an evening to remember! PLEASE NOTE: Tickets are available only through the Phoenix Symphony box office, 602.495.1999, 1.800.776.9080 or at the door on the night of the concert. 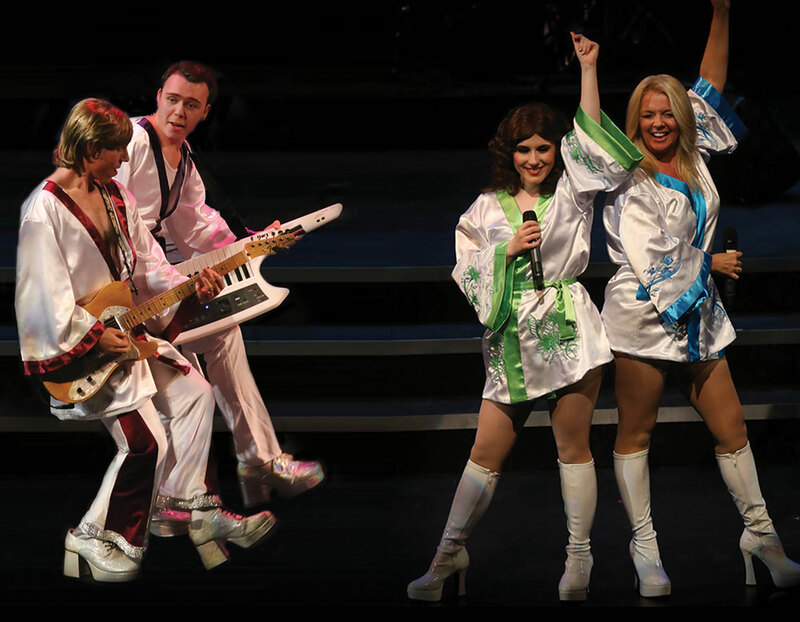 The sensational tribute band ABBAFAB brings the ABBA songbook to Pinnacle Concert Series with mega hits Waterloo, Fernando, Dancing Queen, Mamma Mia and more! The ultimate ‘feel good’ music and high-energy show that played to sold-out crowds across the U.S. and abroad will have you dancing in your seat. Diamond Rocks all the great Neil Diamond classics like Coming to America, Sweet Caroline and Song Sung Blue, magically recreated by San Diego “Entertainer of the Year” and Reno “Show of the Year” headliner Barrie Cunningham. The look and sound from this #1 tribute artist is pure Diamond. "Orchésographie: Renaissance Dances from the Sixteenth Century"
Bartholomew Faire beckons you with Renaissance dances played on authentic period instruments: lutes, harp, citole, oud, shawms, bagpipes, rauschpfeife, pipe & tabor, dulcian, crumhorns, recorders, bladder-pipes, and the mighty hurdy-gurdy. Classical devotees will be enthralled with this ‘crazy cousin’ of the classical world — jazz aficionados intrigued by its improvisation — world music lovers drawn in by very familiar sounds — and pop, alternative, and rock fans captivated by the music's vitality and drive. There truly is something for everyone in this program of distinctive dance tunes. Handel's massive oratorio makes a profound musical statement of the Christian Faith, celebrating the life, death and resurrection of Jesus Christ. The acclaimed and popular “Hallelujah” chorus highlights this spiritual concert. Join Music Director Tito Muñoz as he conducts The Phoenix Symphony, The Phoenix Symphony Chorus and world-class soloists in this full-length version of Messiah, considered among the most glorious sacred music ever written. box office, 602.495.1999, 1.800.776.9080 or click button below and you will be redirected. A delightful way to usher in the holiday season! Join the Pinnacle Chancel Choir, Pinnacle Pealers, Brandon Burns on the Richards-Fowkes organ, the Brass of the Desert, and Bartholomew Faire in a beautifully-crafted program of readings and song that tell the story of the beloved carol, The First Nowell. This wonderfully varied concert of inspirational and joyous Christmas music surely will become your family tradition, if it is not already. Tickets not required. FREE - A special offering will be received to further the fine arts program of Pinnacle Presbyterian Church. Note: Student tickets are only available the evening of the concert at the door. Jonathan Ryan is a multi-prize-winning organist. Lauded for his strong communicative skills in a variety of styles, exceptional use of the instrument's capabilities, and bold programming, he has emerged as one of North America's premier young concert artists. 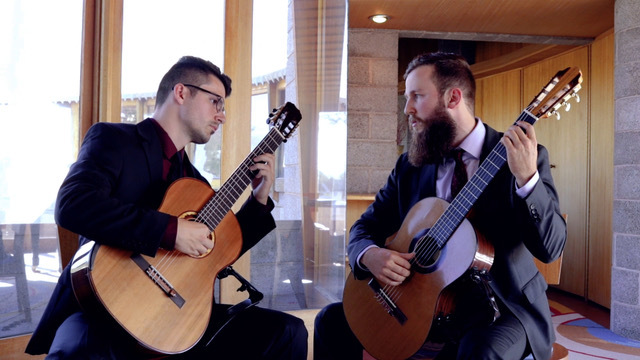 With a repertoire spanning the 16th to 21st centuries, he has performed at celebrated venues, festivals, and conventions throughout North America and Europe. His performance at Pinnacle will be of J.S. Bach's Clavierubung III in celebration of the 500th anniversary of the Reformation. The Unpredictable Adventures of Henry Hicklebee is unlike any other concert as it takes audience participation to a new level. Live voting in real time via cell phones will direct Henry Hicklebee to different countries on his worldwide journey to find his family's roots. Both the plot development and the music performed by the chorus and orchestra are dependent upon what the audience chooses, making every performance a unique experience. Since its founding in 2003, ProMusica Arizona Chorale and Orchestra has become a leader in bringing live music to audiences in the greater Phoenix area. With almost 100 singers and instrumentalists ranging in age from late teens to mid-80s, the group has performed for a wide range of audiences across the Valley. Award-winning concert pianist, composer, arranger and conductor, Mark Hayes has published over 1,000 works, including music for voice, piano, orchestra, jazz combos, instrumental ensembles and choirs. He has conducted his works at Carnegie Hall and received awards recognizing his exemplary leadership in Christian music. While much of his music is sacred, he has also received awards for arranging and orchestrating the music for Civil War Voices at the 2010 Midtown International Theater Festival in New York. In this concert of his works, Hayes will be joined by soprano Stephanie Ann Ball who is swiftly taking her place in the world of classical music. Combining her warm, strong lyric voice with the jazz-influenced piano music of Hayes will offer a rare treat to all who come. Singing with a harmony uniquely their own, The Four Freshmen have been entertaining listeners world-wide for 65 years. Their tight-knit sound inspired The Beach Boys, The Mamas & The Papas and Frankie Valli among others. While paying tribute to such classic Freshmen favorites as Day by Day and Blue World, the current group also continues to deliver new arrangements such as The Girl from Ipanema and Stompin' at the Savoy that have become audience favorites. The faces may have changed through the years, but the integrity of their time-honored sound and the energy of the performers make this a concert not to be missed! The Concordia Choir of Moorhead, MN, continues to affirm its reputation as one of America's finest a cappella choirs. Since 1920, the 72-voice choir has performed in nearly every major hall in the United States, including Carnegie Hall and Kennedy Center, as well as taking numerous international tours. A 2010 performance and recording session with the Grammy Award-winning King's Singers and multiple performances on Garrison Keillor's Prairie Home Companion radio show highlight the Choir's world-class quality. Their incredible blend and unmatched musicality promise an evening of choral music at its finest. The 3 International Tenors is a tribute to some of the finest music in the world and features show-stopping performances that pay homage to the likes of Luciano Pavarotti, Andrea Bocelli, Enrico Caruso and others. Included in the concert are stirring renditions of some of the most memorable songs ever written such as Time to Say Goodbye, Ave Maria, and Nessun Dorma. These three musicians come from extremely diverse backgrounds to sing music from opera, musical theatre and pop opera in a most entertaining way. The music of Billy Joel and Elton John comes to life in this multimedia tribute starring the voice and piano of British entertainer Terry Davies, backed by an extraordinary nine-piece band. You'll be singing, dancing, laughing and crying as you experience the sights, sounds and amazing musical journeys of Billy and Elton's careers. Their incredible catalogue of classic hits includes Piano Man, New York State of Mind, Rocket Man and Candle in the Wind as well as many more. This promises to be an evening to remember! Handel's massive oratorio makes a profound musical statement of the Christian faith, celebrating the life, death and resurrection of Jesus Christ. The acclaimed and popular Hallelujah chorus highlights this classical favorite. Music Director Tito Munoz and The Phoenix Symphony return to present the full-length version of Messiah, joined by The Phoenix Symphony Chorus and soloists. *PLEASE NOTE: Tickets are available only through The Phoenix Symphony box office, 602.495.1999, l.800.776.9080 or online at phoenixsymphony.org. One of the most beloved concerts of the season, Celebration of Christmas offers a wonderfully varied program of inspirational and joyous holiday music. Already a favorite tradition among many, this event features music to usher in the Christmas spirit. Join the Pinnacle Chancel Choir, Pinnacle Pealers and special instrumental guests as they combine forces to create a magical experience! *FREE - No ticket required. A special offering will be received to further the fine arts program of Pinnacle Presbyterian Church. Formed in 2007, the Mill Avenue Chamber Players is a professional chamber music ensemble based in Phoenix. With a woodwind quintet (flute, oboe, clarinet, horn, and bassoon) as the core ensemble, the group often collaborates with other musicians to offer a wide range of programming. Embarking on its ninth season, the Mill Ave Chamber Players seek to strengthen communities by presenting quality chamber music performances across the Valley. The group also performs regularly for a number of schools and holds an annual summer chamber music camp. Their first album "Mill Ave Chamber Players" was released in 2014. The whole family is invited to an evening of classic Halloween music. You'll be treated to selections from The Phantom of the Opera by Adrienne Goglia and Drake Sherman as well as other deliciously spooky songs performed by Valerie Perkins and Mark Leal. "The Phantom of the Organ" will make a special appearance playing all those scary tunes on the Richards, Fowkes, Inc. organ, and a spectacular array of carved pumpkins will help to set just the right mood. Come if you dare! *FREE. Donations will be received to support the Pinnacle Concert Series. Clive Driskill-Smith, a young English organist sensation, and Joseph Gramley, a young American percussion virtuoso, have teamed up to present organ and percussion in a whole new way. Performing unique arrangements of classical masterpieces such as Gustav Holst's The Planets and Saint-Saens' Carnival of the Animals, the duo displays passion, technical mastery and precision as they take audiences on a musical adventure. 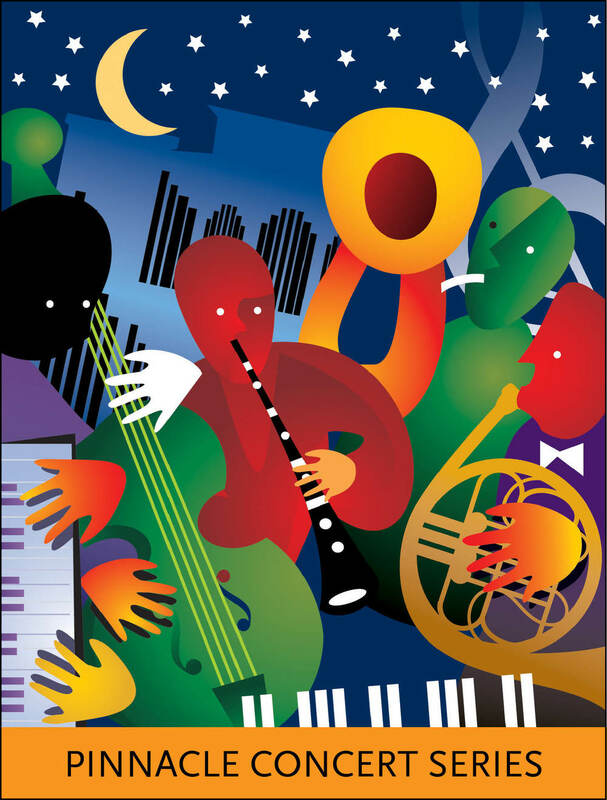 This concert is certain to please young and old alike with a blend of well-prepared music and entertaining humor.